I am a firm believer that everything happens for a reason. 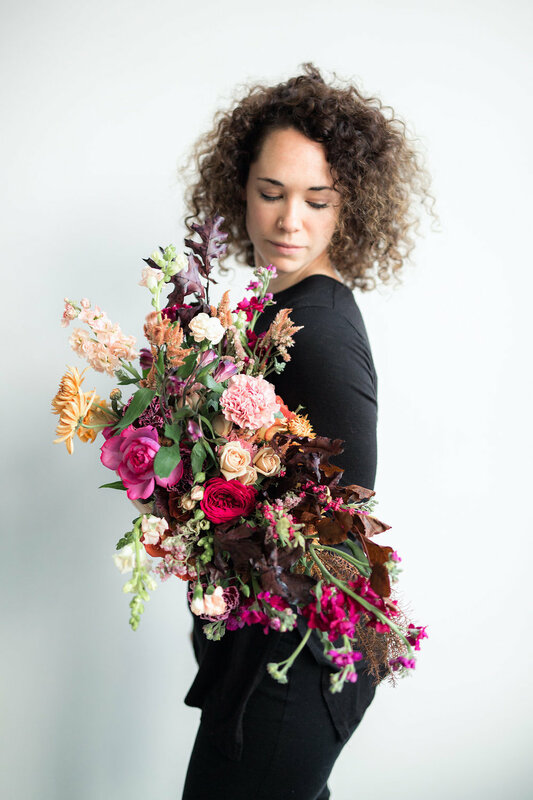 Back in November, I was sitting in my van anxiously awaiting set up for a big event, and on a whim, I decided to register for The Ponderosa & Thyme Bouquet Workshop. I am here to tell you that I am so happy I trusted my gut, and so grateful that I made a spontaneous decision to go. IT WAS WONDERFUL. MAGICAL. INSPIRING. All of the good things, truly! I walked in to the beautiful Tendue space, and I was greeted by smiling faces and beautiful blooms. I immediately felt at home. Katie is an angel. She is the sweetest, most down to earth person I have ever met. She kicked off her shoes, invited us to eat, drink coffee, sip tea, and reflect together. We went through a flower meditation, foraging adventure, ate delicious meals and had the most wonderful GLUTEN FREE | VEGAN DONUTS from Katie's husband Mark of BigWig Donuts. Katie's workshop staff included; Sarah Pearson, her husband Mark Davis, and photographer MacCoy Dean. Everyone was kind, supportive, and had their own inspiring stories to share. Thank you for everything Katie, Mark, Sarah, and MacCoy. And thank you Antje, Robyn, Lindsay, and Emily for being yourselves, I feel lucky to have flower friends like you.